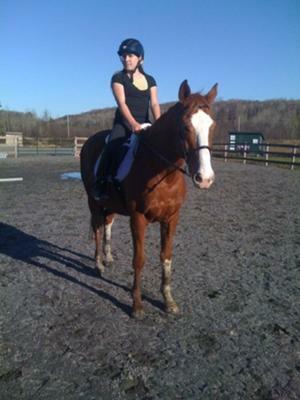 This is my horse Aramis! I have 6 of my own horses, and i ride every single day! My best ride ever is when i first started to jump! That was soo fun!!!! Aramis looks like a great horse. You are sooooo lucky to have 6 horses. I'd just love one! Hope you have fun.